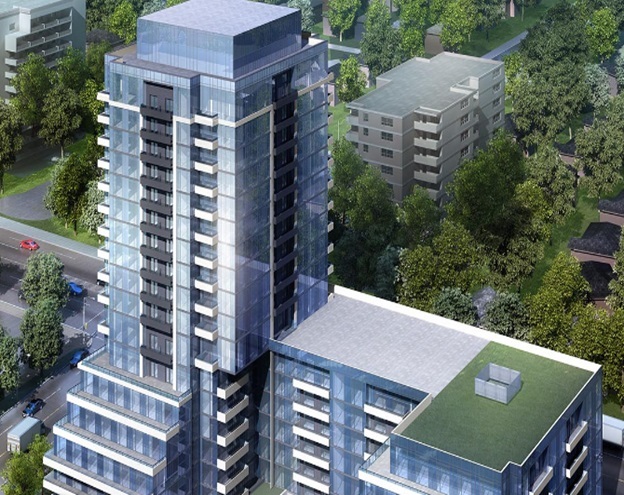 Liberty Development is building an 18-storey mixed-use condominium project in Scarborough. Located on the southeast corner of Sheppard Avenue East and Pharmacy Avenue, the project named Wish Condos is designed by Turner Fleischer Architects, according to Urban Toronto. The design calls for a U-shaped seven-storey podium with an eleven-storey tower in the northwest corner by the intersection. The ground level will feature a three-level garage with space for 268 vehicles and 191 bicycles. In addition, the ground level will also offer space for between six and eight retailers in over 10,500 sq. ft. of space and over 3,400 sq. ft. of condo amenities.